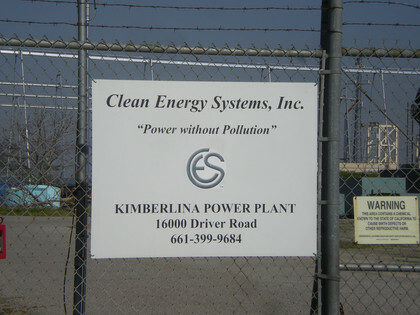 During a business trip on behalf of a customer, several opportunities for visiting solar power plants emerged. 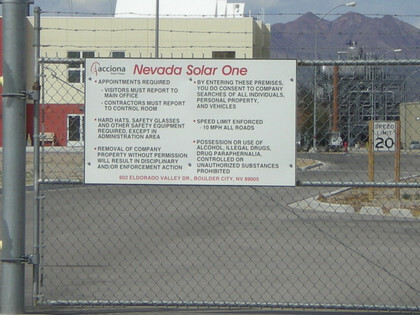 We saw Nevada Solar One in Boulder City, the Ivanpah Solar Electric Generating System west of Las Vegas, the Kimberlina Solar Thermal Energy Plant north of Bakersfield, the new enhanced oil recovery facility at Berry Petroleum in Mckittrick, and eSolar's Sierra Sun Tower. 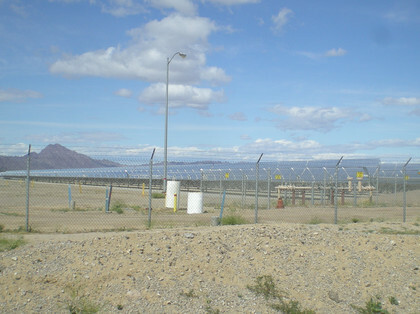 The Nevada Solar One plant, outside of Boulder City, NV, is the only recently-built parabolic trough plant in the US. 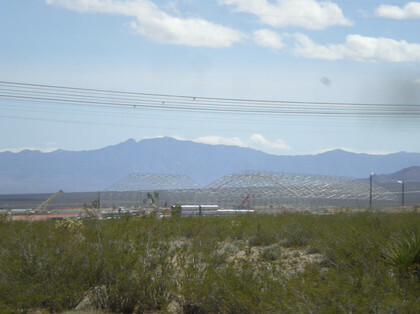 It was amazing how little visual impact the plant had, when seen from elevated Boulder City, especially considering that a new 48MW PV facility opened next door. Unfortunately, I forgot to take a photo to proof that point. Currently a construction site. 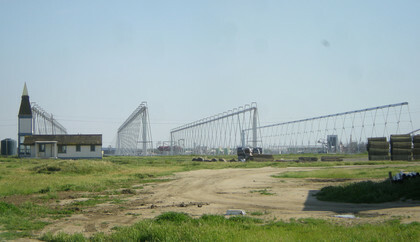 Fences were being installed during our visit. 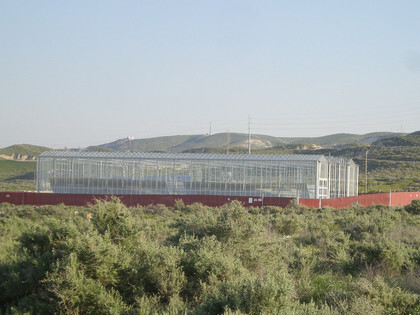 A few days later, construction was halted due to a miscount of desert tortoises in the project area. 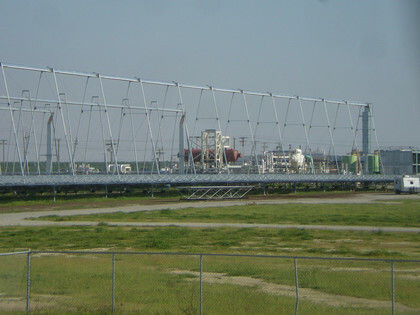 Located outside of Bakersfield, this 5MW facility provides steam augmentation to an existing conventionally-fuelled boiler plant. 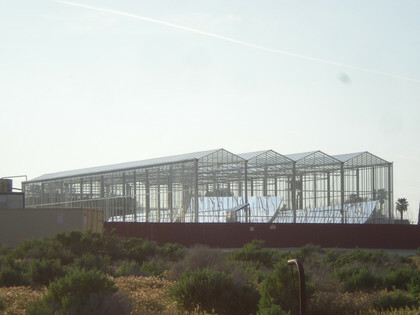 Glasspoint unveiled this parabolic trough system earlier in 2011. 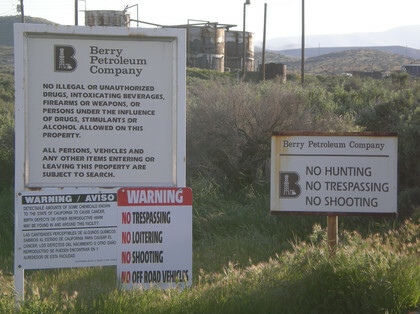 Berry Petroleum Company uses the system for enhanced oil recovery, which makes it the only operational solar EOR project worldwide. 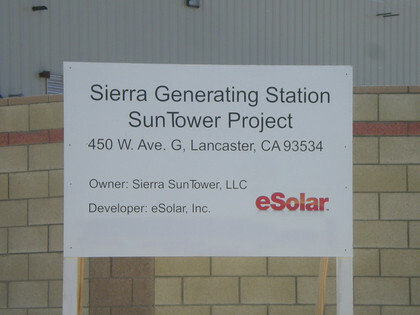 eSolar unveiled the Sierra Sun Tower. At the time, eSolar appeared to have been successful in developing a CSP technology that would be scalable and realtively low cost. 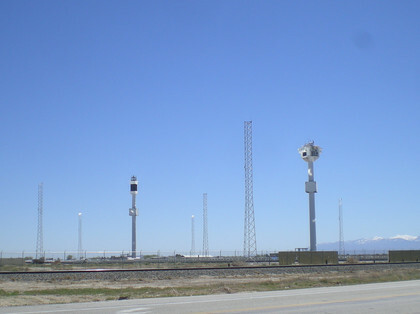 However, so far no other projects of eSolar have materialized, and the Sierra Sun Towers appear to be our of commercial service. Heliostats were moving randomly about during our visit; neither of the two towers was operating.